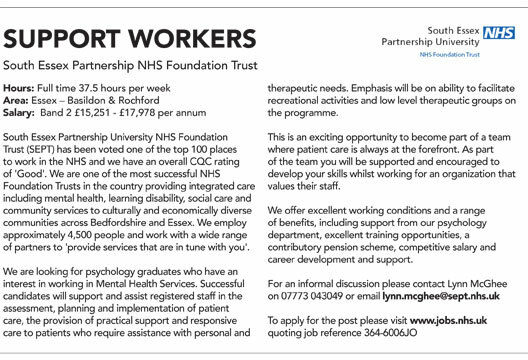 A vacancy with South Essex Partnership University NHS Foundation Trust (SEPT). Lynn McGhee, Senior Nursing Officer in Adult In-Patient Mental Health, tells me: ‘Our patients make the work enjoyable and rewarding. It’s sometimes challenging but they make it all worthwhile'.